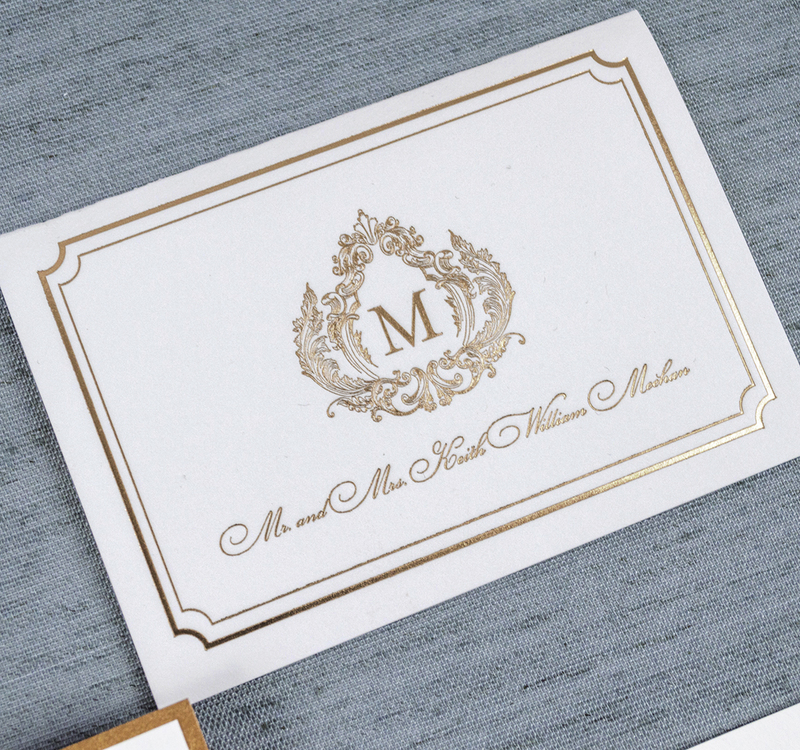 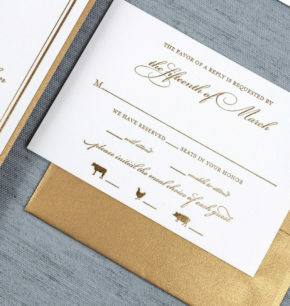 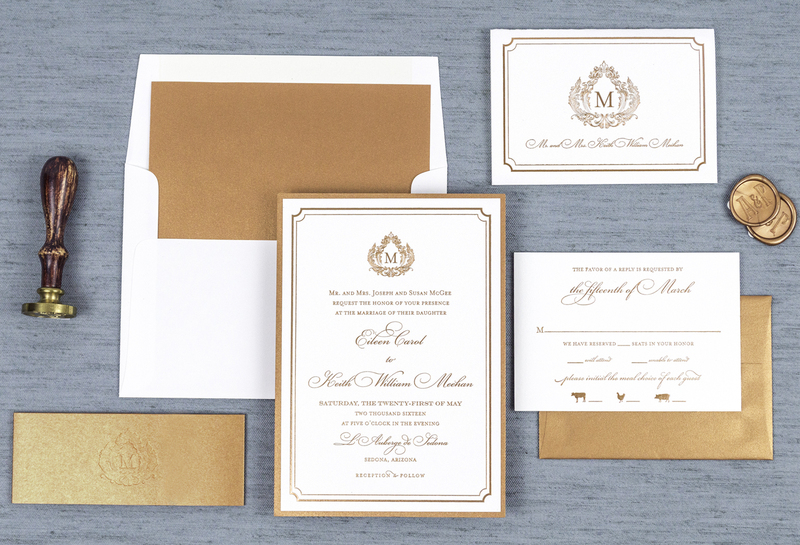 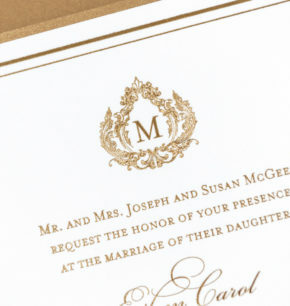 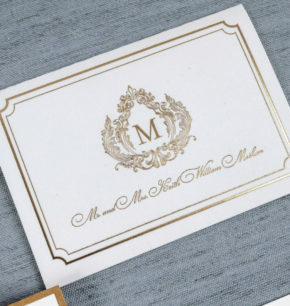 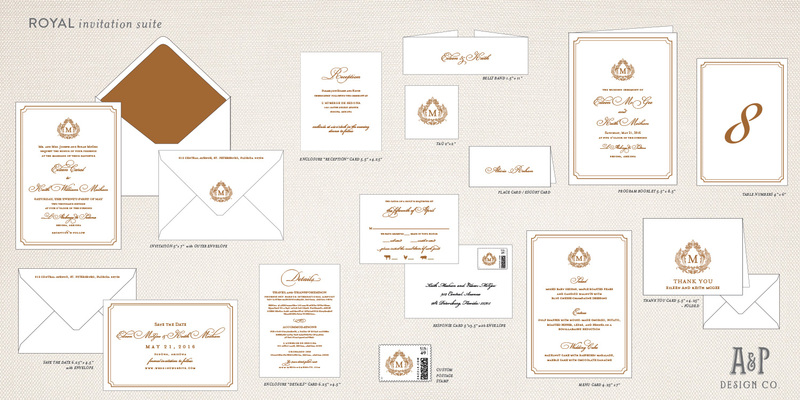 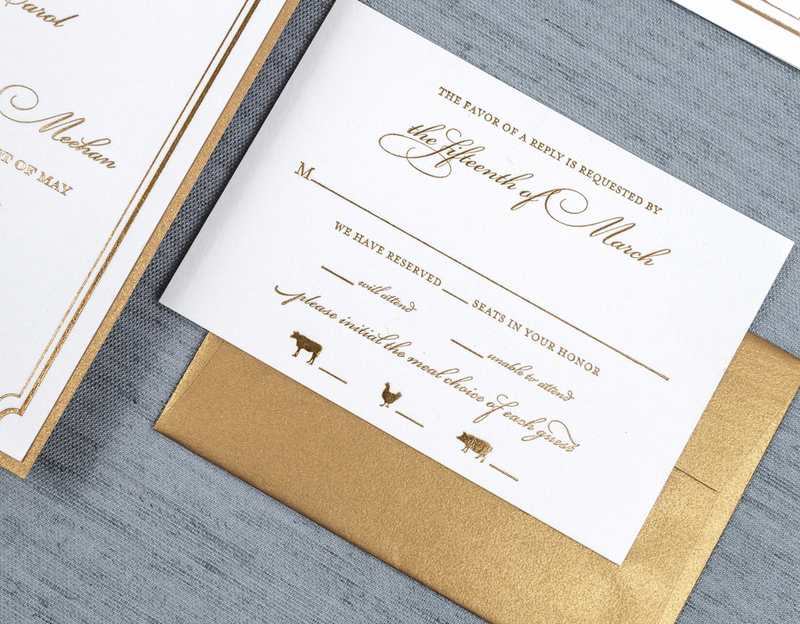 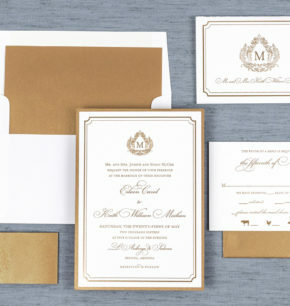 This invitation suite evokes traditional elegance and regal beauty. 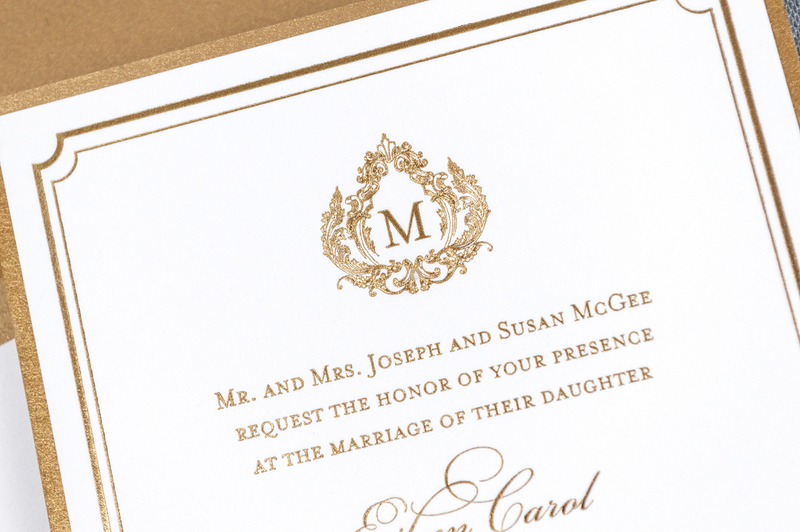 The opulent scroll crest and simple border give this suite an aristocratic and timeless feel. 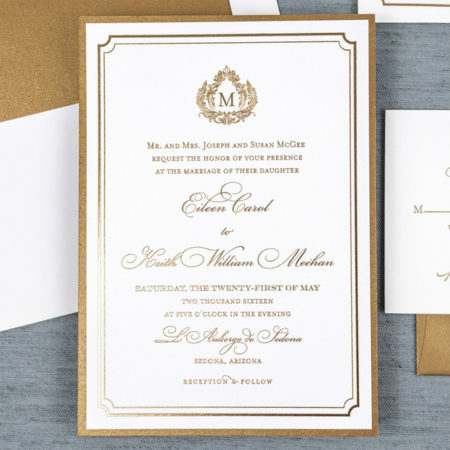 Perfect for any lavish and ornate affair!